Shares advanced in Asia on Tuesday, led by a rally in Chinese shares. Upbeat talk from the White House on trade negotiations with Beijing and reassuring comments from the People’s Bank of China appeared to help brighten sentiment. The Nikkei 225 index added 0.2% to 22,221.11. 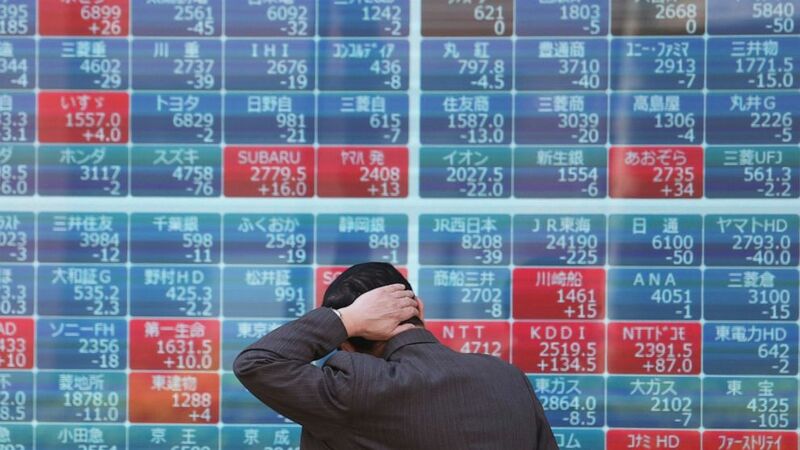 The Shanghai Composite index jumped 1.4% to 3,223.57 and the Hang Seng index in Hong Kong surged 0.7% to 30,008.17. South Korea‘s Kospi gained 0.2% to 2,246.36 and the S&P/ASX 200 in Australia gained 0.4% to 6,273.90. Optimism over prospects for resolving trade conflicts between the U.S. and China has grown. Larry Kudlow, director of the president’s National Economic Council, told reporters negotiations over complaints that China has predatory technology policies were going “very well” and making good progress. “We’re not quite there yet. We’ve still got some open issues. Currency reforms look very good, for example, there’s been progress on enforcement. Just pretty much across the board,” he said. “I think the key here is steady conversations, steady conversations since they were here,” Kudlow said, referring to the latest round of talks, which were held in Washington earlier this month. Meanwhile China’s central bank, The People’s Bank of China, said it was adjusting its monetary policy to coordinate with government spending. Overnight on Wall Street, the S&P 500 index edged lower, weighed down by bank shares after Goldman Sachs said it’s off to a “muted start to the year,” despite first quarter earnings that beat analysts’ expectations. Citigroup also slipped following its earnings report, as banks lead off a quarterly reporting season that analysts expect to be the weakest in nearly three years. ENERGY: The price of oil gave back some of its big gains for the year. Benchmark U.S. crude oil fell 10 cents to $63.30 per barrel. It fell 49 cents to settle at $63.40 on Monday. Brent crude, the international standard, fell 19 cents to $70.98. Both remain up more than 30% for the year. CURRENCIES: The dollar slipped to 111.93 Japanese yen from 112.01 yen. The euro fell to $1.1305 from $1.1307. The British pound slipped to $1.3092 from $1.3105.